We are Sioux Falls’ and surrounding counties’ premier tree care company, a title we earned through satisfied clients and exemplary reviews. With a hardworking and professional team, it’s no wonder we have such high ratings on HomeAdvisor, Angie’s List, and more. We use the best equipment on the market, take pride in our work, and won’t settle for anything less than 100% customer satisfaction. 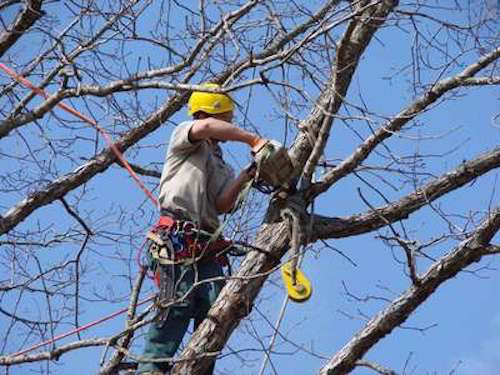 We consider ourselves customer service people who just happen to provide tree care services. Our certified arborists and tree care professionals are trained to know not only what is best for your tree but for your entire landscape, as that tree is a part of a much bigger picture. We are diligent in our work and always take the time and put in the effort to ensure we are caring for your landscape as a whole. Our professionals are skilled and experienced in landscape design and maintenance, in addition to tree care. Safety is our top priority. Every one of our professionals is licensed and insured, relieving you of any liability while we are on your property. At any point, we are pleased to provide you with this information, as part of our standards of professionalism. In addition, we choose to provide all of our employees with worker’s compensation, as well as benefits to our full-time staff. When it comes to equipment, we use nothing but the best. All of our tools and machinery are properly maintained and top-of-the-line. Because of this, we are capable of handling much larger trees and bigger projects, compared to our local competitors. There are customers who prefer that we don’t use heavy equipment, however, due to a potentially negative impact on their landscape. 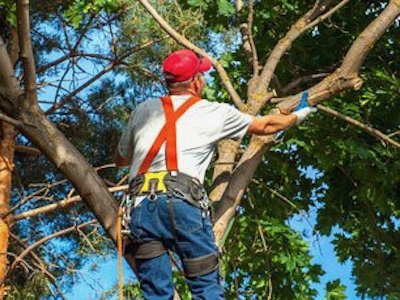 In these cases, we are more than happy and fully capable of performing our complete tree care services using only our climbing harnesses. There are also instances when our large equipment will not fit into a customer’s yard. Fortunately, this will never stop us, as we can and will find alternative solutions in any situation. We can service any type of property, from homes and office buildings to investment properties and large-scale developments. Our team is proud of not only our quality of service, but also our ability to handle all jobs, big or small. Further, our prices are fair and your satisfaction is 100% guaranteed. We take pride in many things, including our maintained professionalism in business interactions. We show up on time, provide our customers with an estimate upon request, abide by our appointment schedules, and stand behind our work. We are pleased to work on any project, from the smallest to the largest, and nothing is below or above our ability. Our main priority will always be to support our customers and leave you knowing you made the right decision in choosing us. Please consider us for any and all of your tree care needs. We truly appreciate your business and strive to earn it. We are aware that our customers have options, in regards to their tree care needs. This includes companies who go door-to-door offering deals. We feel obligated to caution you: many, perhaps most, of these businesses do not have the proper licensing, bonding, or insurance. This leaves you vulnerable and potentially liable, in the case of an accident. In addition, these companies rarely provide worker’s compensation for their employees, which can leave their customers’ with significant financial and legal liability. Please be aware of the potential risks when choosing these types of businesses for your tree care needs. Below you will find a summary of all of the services we provide. At the top of this page, under “Services” you can find additional details for each. There are many different reasons why you might need a tree removed from your property. It could be dying or decaying, which can be a danger to your and your property. It could be diseased, such as with root rot, or could have been damaged by a storm, leaving it a hazardous eye sore. It might simply be too big and covering too much of your yard, preventing new growth of grass and other plants, or even threatening your home and other assets. Please be aware that most homeowners’ insurance policies will deny tree damage claims, if the tree’s branches were touching your home. This is why it is necessary to take control of the trees on your property and ensure that they are not a threat to your home. Sioux Falls Tree will remove any tree, regardless of the reason, and have done so for numerous customers in Sioux Falls and greater Minnehaha and Lincoln counties. Although tree removal may seem to be pretty straight-forward, it involves planning, experience, training, and skill. This is especially so when there are other structures in close proximity to the tree being serviced. 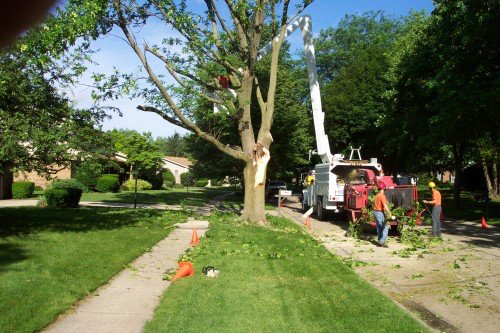 One of the many reasons we are the tree care Sioux Falls calls, is that we can safely remove any tree in any situation. The process begins when one of our professionals visits your residence or business for an assessment. Before leaving, we will provide you with the results of our assessment and our plan of action, as well as a firm price quote. We will even schedule the job while we are with you so that you can rest assured it will be done when you need it done. All of the work necessary for the job will be included in the quote, including felling the tree, cutting it up, stacking or removing the wood, and cleaning up our mess. For the duration of the job, there will be a ground crew present, ensuring safety and constant removal of debris. Our chipper, which will be stationed on the street, will be used to dispose of smaller branches. We always make sure to leave your property in better condition than we found it - you will never know we were there. 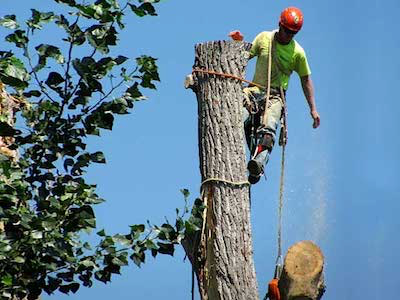 Tree removal continues to be our top service. There’s no doubt that as you stroll through your neighborhood, you notice trees that could use some major help. 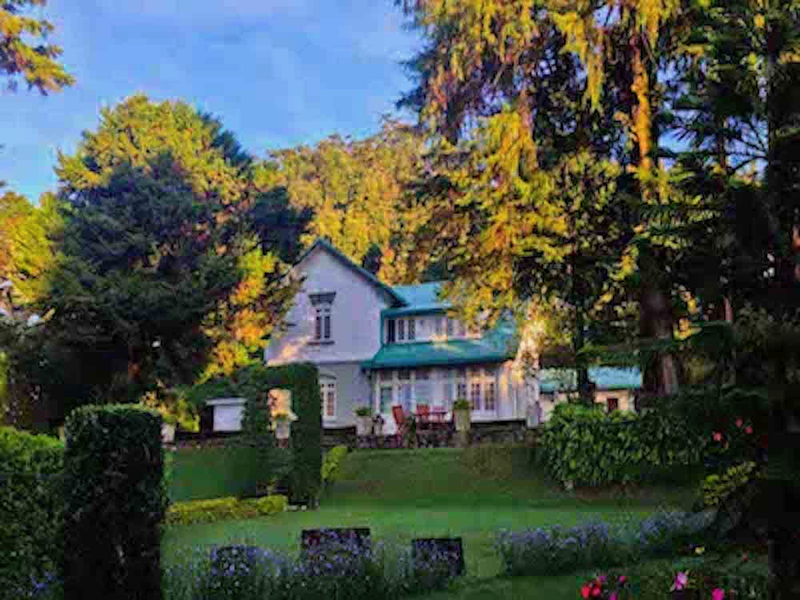 A regular, professional trimming will improve not only the health of the tree, but also bring out its natural beauty, in turn improving the aesthetic of the surrounding landscape. Just like with our tree removal service, a member of our team will meet with you on your property to discuss your concerns and provide you with our expert advice. Again, we will leave you with a firm quote and set a date and a time for services to be rendered. If possible, we will use heavy equipment, which has been designed specifically for the job, but are happy to trim using only safety harnesses, if need be. A ground crew will be present during the job, in order to keep the work site free of debris and ensure safety for everyone involved. Our chipper, stationed on the street, will be used to dispose of all branches. You can be present during the job and we welcome your input and guidance so that your tree will be trimmed to your liking. When the job is finished, your tree or trees will be healthier, more beautiful, and your landscape will be much improved. As always, we will be sure to leave no trace and leave your yard looking better than we found it. After we have removed your tree, you have the option for us to grind the left-behind stump. The majority of stumps are unsightly, distracting from the flow of the natural landscape, and most customers choose to have them removed. Most importantly, stumps can become a home for unwanted guests, such as termites, ants, and bees, making them not only an eyesore but also a hazard. 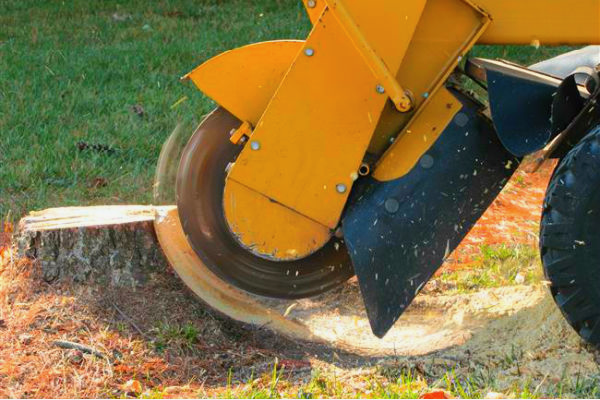 We have the best of the best in stump grinding equipment, which we use to take on any size stump. Even if we didn’t remove the tree, let us remove the stump - it would be our pleasure. It’s a messy job but, with our expertise, it will be done quickly and with little impact to your landscape. As with all of our services, someone from our team of professionals will meet you at your property to assess the project and provide you with advice and a custom quote, as well as work with you to find a day and time to complete the job. In addition to stump removal, we offer grass seeding and sod laying to help replant the area. Multiple stump discounts are available. It is important to note that stump grinding can be considered a commodity service, in that it can be done by anyone so price is the only differentiating factor. However, at Sioux Falls Tree, we take pride in our ability to turn a messy job into a professional tree care service. We strive to bring back the beauty of your landscape. We will also repurpose the chips as mulch, firewood, or for turning into wood pellets for burning, as an environmentally conscious green initiative. We look forward to helping you with all of your stump removal needs. 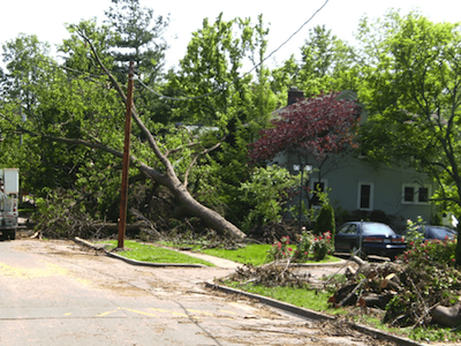 As you know, storms can have a severe impact on your landscape and especially your trees. We are available 24/7 for all of your emergency tree care needs. 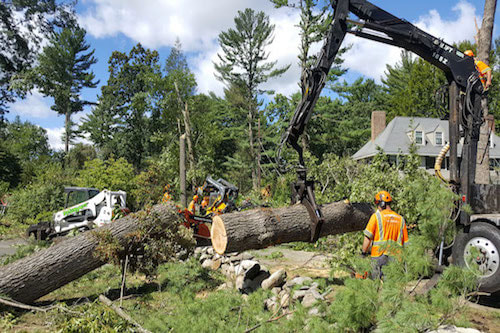 In the event of storm damage, we are quick to respond and will work around the clock until your felled or damaged trees are managed and are no longer a potential hazard for your loved ones and your property. We choose to provide this emergency service for our customers because we know that storms can occur at any time, not just during normal business hours. We understand that when your property is affected, you need someone right away - not the following business day. We have the staff, the tools, and the experience to quickly and safely remove any hazards and restore your landscape. 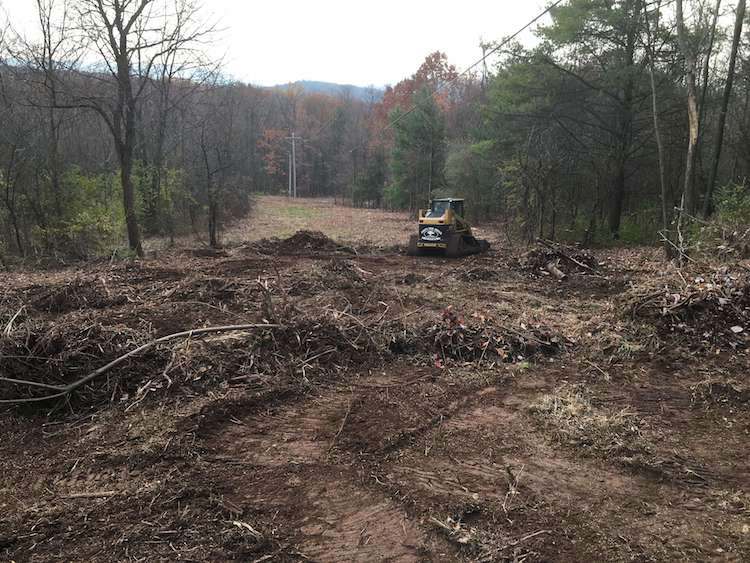 Even the largest clearing jobs are no match for our heavy duty equipment and skilled team; we are able to complete them quickly and efficiently so as to not waste your time or money. We approach the larger lot clearing jobs as we do any job, one tree at a time, while keeping our eye on the big picture: the overall landscape. We are also happy to do any smaller clearing jobs, such as backyards or smaller residential lots. Due to our experience and equipment, we can perform these jobs in a timely manner and at a lower cost than our competitors. Please reach out with any lot clearing needs - we are consistently the top choice in Sioux Falls for those larger-scale clearing jobs. We also offer Brush Removal and Wood Chipping services as part of our overall Land Clearing Services. We provide professional tree spraying services, notably to target the devastating impacts of trees infected with Emerald Ash borers. As you would imagine, we have lots of aged firewood for sale, including most varieties of hardwoods perfect for burning. Give us a call today to set up delivery and stacking of the best firewood there is. You also have the option to pick up your firewood, at a reduced price.